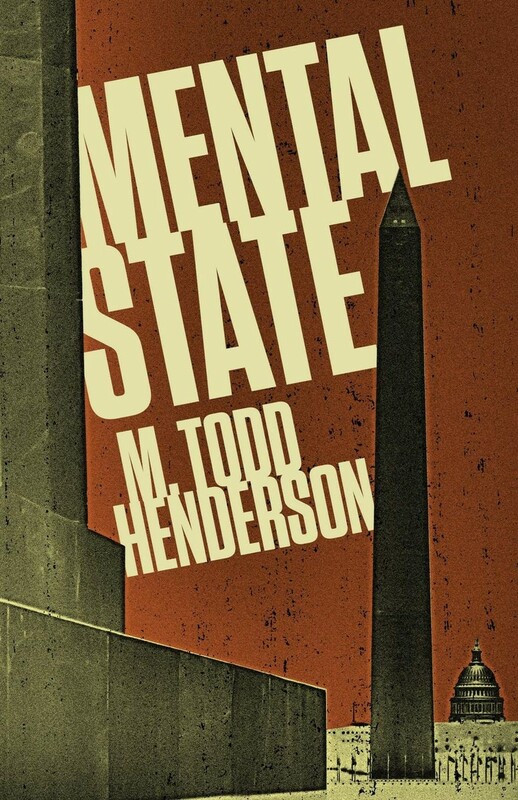 This debut thriller has generated some controversy, supposedly because of the conservative stance it takes, but I'm here to tell you, while the plot certainly centers around politics and the clash between left and right, MENTAL STATE is basically a hard-nosed, straight-ahead procedural with a dogged protagonist and the occasional burst of well-done action. It's not a polemic of any sort. I'm not sure the words "Republican" and "Democrat" even appear in the text. Instead author M. Todd Henderson, himself a law professor, concentrates more on the relationship between the two brothers (even though one of them is dead for the entire course of the book, appearing only in flashbacks) and sprinkles in a lot of interesting historical nuggets, as well as detailing the twists and turns of how power works in Washington. I've read a number of political thrillers by Vince Flynn and Brad Thor (who are perceived to be on the right) and Brad Meltzer (who's perceived to be on the left), and MENTAL STATE strikes me as exactly the same sort of mainstream thriller. It's also fast-paced, well-written, and I enjoyed it enough that I look forward to seeing what Henderson comes up with next. I will pass this link on to the author forthwith. Thank you so much, sir, for this kind review. Thank you for your review. I've been a fan for years, and having you review my first book, let alone have kind things to say, is a tremendous honor. I hope I can live up to your expectations with the sequel--STATE OF SHOCK--coming soon!